Let’s face it. You plan to look perfect on your big day so why shouldn’t your groom, too? Together, a unique bout and classic bow tie make the perfect duo for a dapper groom! 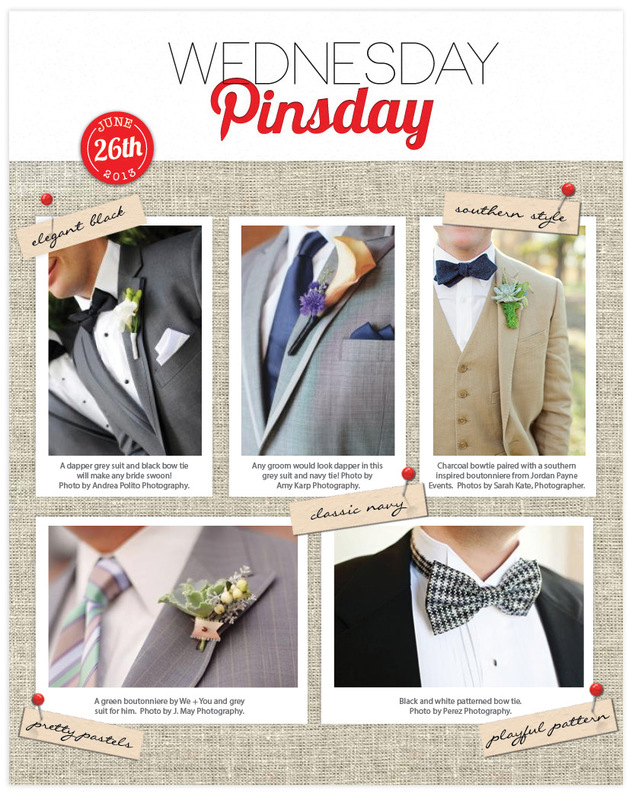 From patterned bow ties to fab floral bouts, your fiancé is sure to be putting his best foot forward when you say “I Do!” Happy Pinning!